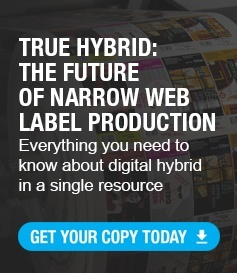 Increased SKU proliferation, a rise in the popularity of seasonal goods and various industry trends have all driven the need converters to have digital label production equipment represented in their pressroom. If you’ve broken down the cost of a label on traditional flexo equipment, you know the net profit created minus the cost per label of micro and short-run jobs just does not justify saying yes to that particular job. If you simply don’t have the time and space to run the job, it makes sense to turn down that business, right? Sure - but only as long as you have evaluated all available options to maximize your printing profits. Business owners need to consider the value that adding capital equipment can provide their bottom line. You can’t offer value-add embellishments with existing digital providers. Often, the costs of added embellishments and finishing are too high through a third-party channel to make sense as an offering to your customer. 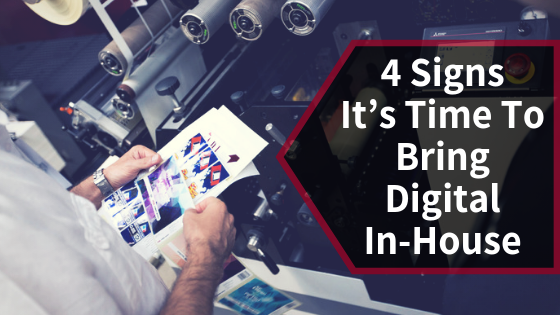 If you find this to be true, you’re losing out on a large portion of the digital label and packaging market segment that is seeking high-end embellishments like cold-foil, cast and cure, lamination and more that you could be providing with an entry-level digital press of your own. Lead times are killing you. When outsourcing label production, a 24 hour lead time is sometimes just not an option while dealing with a third party converter. You are at the mercy of their backlog, workflow and priority to get your job out the door. When converters have the ability to bring production in house, you have the ability to say “yes”, helping to ensure customer satisfaction establish yourself as a just-in-time label provider. Short-run digital hybrid press owner Debbie Gilbert of PRX Print is a shining example of eliminating the pain points of lead times by bringing digital production in house. Immediately following the installation of their Digital One, Gilbert received an urgent label request from a long-time customer. In control of their own lead times, PRX Print had the capability to print the necessary labels to help their customer avoid produce spoilage. Digital isn't growing your business. Adding a digital printing asset of your own gives businesses full control over building that additional book of business to increase revenue. By bringing labels of that nature in-house, you can offer more than the close-to-pass-through prices that many companies are forced to offer their customers. Of all of the benefits of digital printing, increasing your ROI and revenue stream is one that label providers should definitely be taking advantage of versus growing a third party’s business to simply meet (and not exceed) the demands of customers. Converters find that adding a short run digital solution allows them to free up capacity on existing pressroom assets that specialize in longer runs while still managing to grow their business by meeting the demands of a modern label customer. Brokers find themselves able to say yes to shorter lead times while maximizing the ROI on decorative short-run jobs that just didn’t make sense to outsource previously. The demand for label personalization and a growing tide of SKUs has changed the way companies should be doing business. As these demands continues to grow, it’s imperative to find a solution for your short-run digital work. Mark Andy Digital One gives you the opportunity to set your business apart from the competition. If you are sick of saying no to partners and know digital is can make that happen, we have a resource for you. 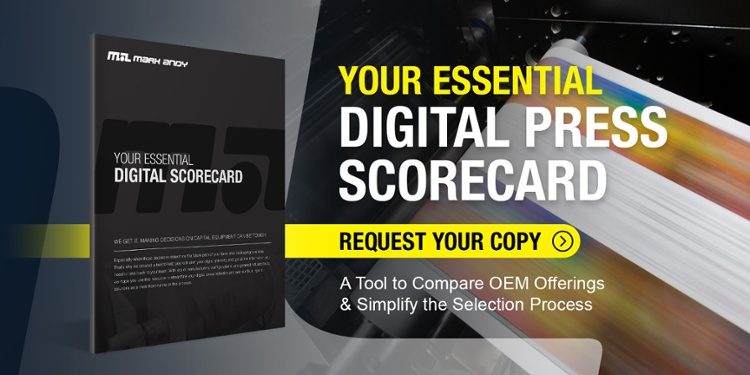 Our Digital Press Scorecard provides the tools necessary to help label producers make the right decision for their digital pressroom needs.